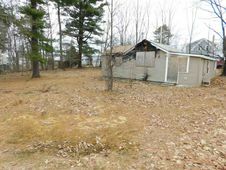 Fixer upper, or land to build a new home! This home had a fire in 2016. Seller is willing to consider private ow owner financing the right buyer for purchase and/or construction of a new home (some restrictions may apply). Great lot near town! The details on 10 River: This house located in Berwick, ME 03901 is currently for sale for $59,900. 10 River is a 706 square foot house with 1 bed and 1 bath that has been on Estately for 6 days. This house is in the attendance area of Noble High School. Listing Courtesy of: NEREN and Pro Edge Realty.